Check out the sports game that’s sweeping the nation! Shoot the Inflatable Foot Darts (velcro green balls) toward the giant board. 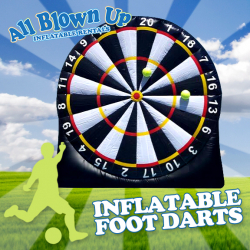 Suitable for indoor & outdoor activity for all ages.